Long-Term Effects of Mild Traumatic Brain Injury: What Are They? What Are the Long-Term Effects of Mild Traumatic Brain Injury? Despite the name, the long-term effects of mild traumatic brain injury can be anything but mild. Migraines, dizziness, depression and cognitive impairments are just a few of the symptoms that accompany a mild TBI, and these symptoms can last for months, sometimes years, post injury. It can be overwhelming and frankly quite scary to think about the effects your injury may have on your future. But do not worry, this article is here to help walk you through everything you need to know about the long term long-term effects of mild traumatic brain injury and what you can do to treat it. Even though it might be scary to think about, knowing and preparing for these symptoms is an important first step towards recovery. A mild TBI is defined as a closed head injury resulting in a loss of consciousness and/or disorientation lasting less than 30 minutes. Concussions are the most common types of these injuries. 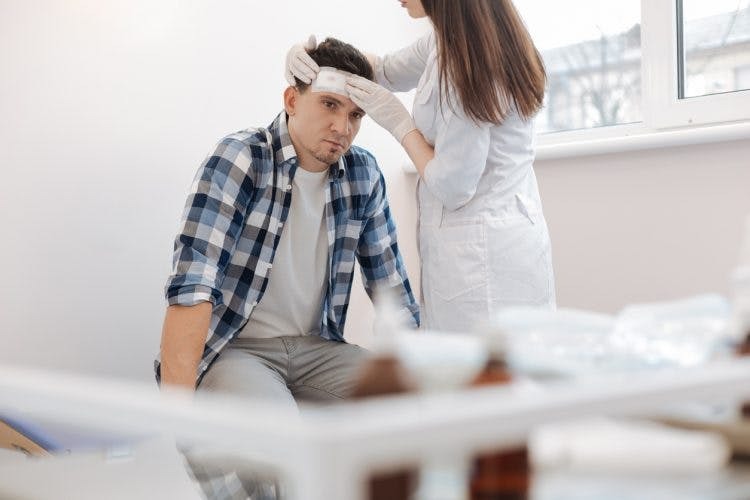 In the past, a mild traumatic brain injury such as a concussion was treated as relatively minor, and most people assumed these injuries had very few lasting consequences. However, many doctors are starting to take mild TBIs more seriously and recognize that even small concussions can have a long-term effect on patients. Does Mild TBI Create Side Effects? This may sound depressing at first, but it shouldn’t be discouraging. In fact, for many people it can be a huge relief to know that there is an actual reason behind their sudden loss of abilities. That, for example, they are not crazy for having trouble concentrating or learning new things. Once you know that your minor head injury is still affecting you, you can take measures to treat it and if necessary, retrain your brain! But the first step to recovery is to understand and recognize the likely long-term effects of mild brain injury, and that is what we will be covering next. Persistent headaches, especially migraines, are a very common effect of minor traumatic brain injury, and can still present themselves long after the initial injury. This is often a correlated with a migraine and is one of the most common side effects of mild TBIs. While this one usually goes away after time, it can sometimes still be present even six months to a year after injury. You may often find that you are sleepy throughout the day, but restless at night. Insomnia and drowsiness typically go together and are both common side effects of mild traumatic brain injury. This is one many people overlook after a mild TBI, but again it is very common. Your emotions are controlled by your brain, and they are usually one of the things most affected by an injury. So, if you have noticed you are not in control of your moods anymore, this may just be another side effect of your TBI. This is another symptom of mild TBI that is often missed. Too often after a brain injury, patients will suffer from depression and anxiety, but will not realize it could be their injury causing these symptoms. Of course, depression is a complex issue that usually stems from multiple sources. But if you experienced a mild traumatic brain injury and are now suffering from anxiety and depression, it’s possible the two are related. At any rate, it is worth speaking to a professional psychologist about to see if there is any treatment available. Finally, long term effects of mild traumatic brain injury may include impairments in executive function (e.g. decision making and planning), learning, memory, attention and processing speed. It can seem disheartening at first, learning about all the possible side effects of mild traumatic brain injury, especially knowing that some of them may last years after your injury. But having a clear understanding of the long-term effects of mild TBI, and what types of problems you can expect, prepares you for the challenges you will face and makes you better equipped to tackle them. Of course, not every single person will necessarily experience these symptoms. Some people recover from a mild TBI with little or no permanent damage. But it is important that you are aware of these possible impairments, so that you can make changes in your lifestyle to help you adapt. And never forget, even if you do experience some of the long-term effects of mild TBI, traumatic brain injury is not always permanent! Your brain is a resilient organ, and even with severe damage, it has the ability to rewire itself. So although you will want to prepare yourself for some lasting effects following your mild traumatic brain injury, you should never give up hope of regaining your old abilities. 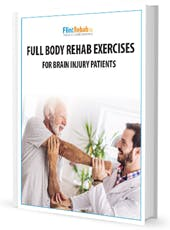 Older Boost Your Recovery with This Healthy Brain Injury Diet!